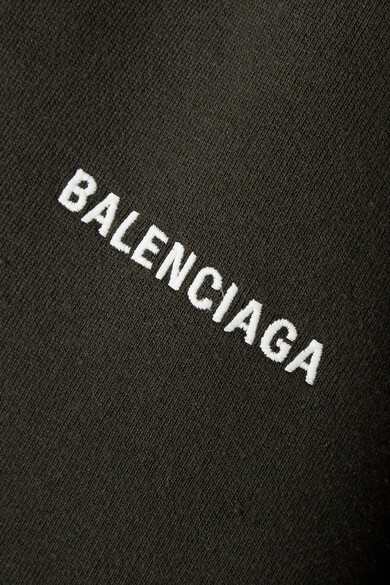 Balenciaga has always been at the forefront of the logomania trend, and this hoodie is one of it's more subtle iterations. 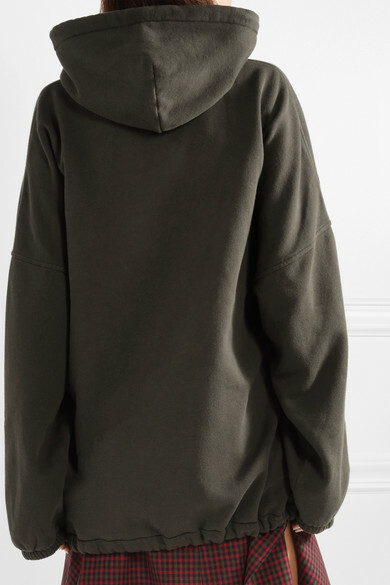 Crafted from cozy cotton-blend fleece, it's cut for an oversized fit that's tempered by a drawstring waist. 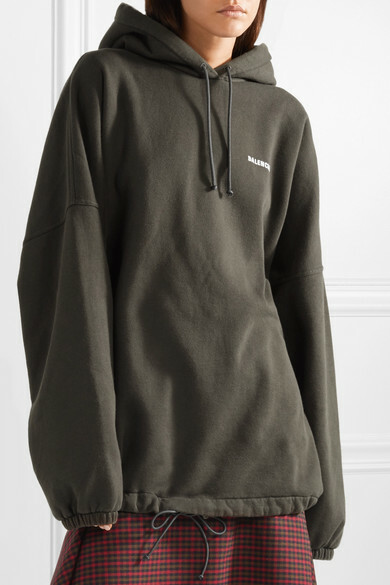 The army-green hue is offset by the label's logo embroidered in optic white. 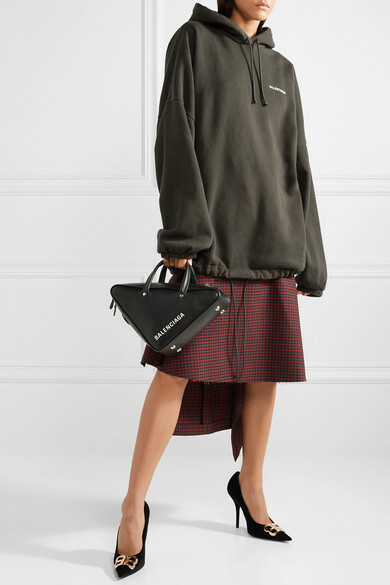 Shown here with: Balenciaga Skirt, Balenciaga Tote, Balenciaga Pumps.